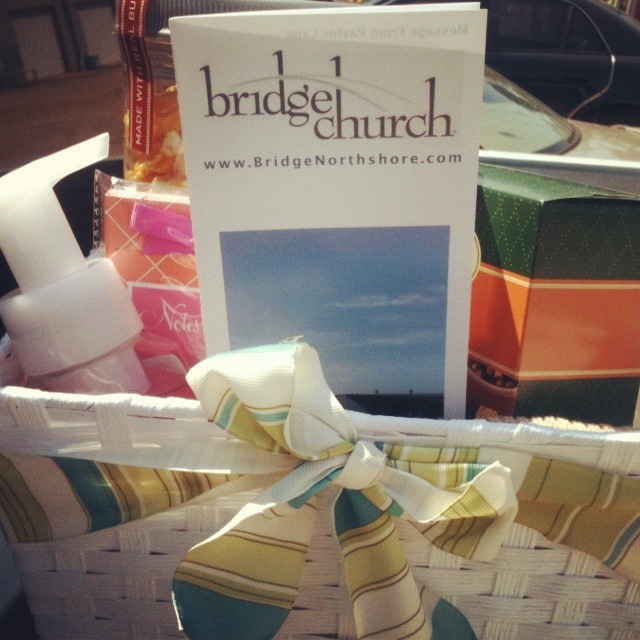 Our church partners with a few area Multi-Housing complexes to provide New Resident Welcome Baskets. We also want to make them available for the rest of us to bless new neighbors with as well. We stuffed a bunch at our last Faith In Action Sunday. Here’s the list of stuff in ours, which was put together by our Creative Team. Their leader Angie McGinty sent me this list. Antibacterial hand soap (I get the nice ones from Bath and Body Works..they were running a special for 7 of them for $20 but they may not be running that anymore. If not, I know that Target has some nice ones like the organic hand soaps) I think adding a nice soap with a great smell really makes the baskets kick up a notch as opposed to just some random everyday soap. I still have 4 of these left. Posted on May 23, 2012, in Faith In Action, Idea Bank, Multi-Housing Ministry, What if... and tagged Multi-housing Ministry, Outreach. Bookmark the permalink. Leave a comment.